Keep Fit Kingdom’s mission is to help a billion people reach the age of 100 years happily and in good health! To do this, we need to inspire people, raise awareness, teach, educate commit to proper nutrition and exercise, breathing, posture and mindset. We believe working together with like-minded people, we can go a long way to preventing and ameliorating many life-affecting diseases that currently plague our modern society such as cancer and diabetes. If you’d like to join us on this journey, make a difference and support this movement in any way by communicating ideas, sharing your personal experience or anything else you think helpful, drop us a line via email: info@keepfitkingdom.com, message us on Facebook or Twitter and one of our team will get back to you soon. In the meantime, we publish articles, news, product reviews and interviews on keeping fit and healthy in body, mind and spirit, to enable you to be the best version of you! We include health, fitness and nutrition, diet, weight loss and motivational articles. We also feature reviews on the latest healthy food choices on the market, (including vegan, Free-from, vegetarian and superfood recipes) books, gym equipment, sportswear and accessories. With the growing trend in holistic health, wellbeing and disease prevention, we also cover yoga, training programs, lean muscle gain (yes bodybuilding is making a comeback) and much more! Whether your goal is to lose weight, keep fit and trim or significantly increase your cardiovascular capacity to get more out of life or perhaps to prepare for some special event or to gain that competitive athletic edge, we hope our informative, engaging reviews and articles of some of the latest and best ideas, products and edibles around will help you in making your ideal choice. Health has never been so important as it is today in our often hectic, busy and stressful lives. We aim to present you with some of the very best information to turn your daily life into a continuous force of good and positive energy; a totally effective, satisfying investment of time and personal resources! Have you ever wanted to get the lowdown on things like health food, diet, physical training, yoga etc, but actually got put off by the huge array and wide range of differing, often conflicting information out there? Well, we endeavour to save you the time, effort and hassle involved in the decision making process. Now you can simply get on and enjoy the many significant pay-offs, both short and long term, of giving yourself improved health and optimum well-being today, in the months, years and (we hope) for the rest of your life ahead. 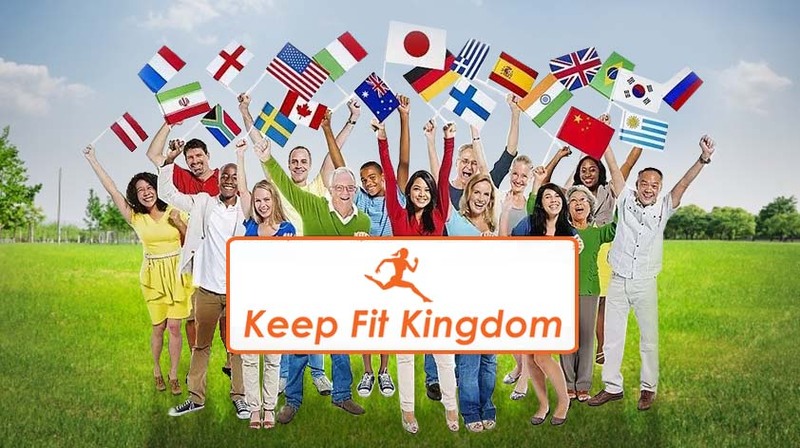 Finally, Keep Fit Kingdom (KFK) is not about us, it’s about YOU! But just so you know, we are a team of health, fitness and foodie enthusiasts with our fingers on the pulse of a wide range activities from of sports (running, rowing, dancing, martial arts, cycling, gymnastics, weightlifting), to yoga (hatha yoga, meditation, pranayama etc) nutrition, (natural diets, Paleo, vegetarian, vegan etc) mindset, (motivation-methods, optimum performance, goals, Zen etc) and more! Top 5 Health Benefits of Matcha Tea!